Last August, a 55-year-old Wal-Mart WMT -0.48% employee found out her job would now be done by a robot. Her task was to count cash and track the accuracy of the store’s books from a desk in a windowless back room. She earned $13 an hour. Instead, Wal-Mart Stores Inc. started using a hulking gray machine that counts eight bills per second and 3,000 coins a minute. 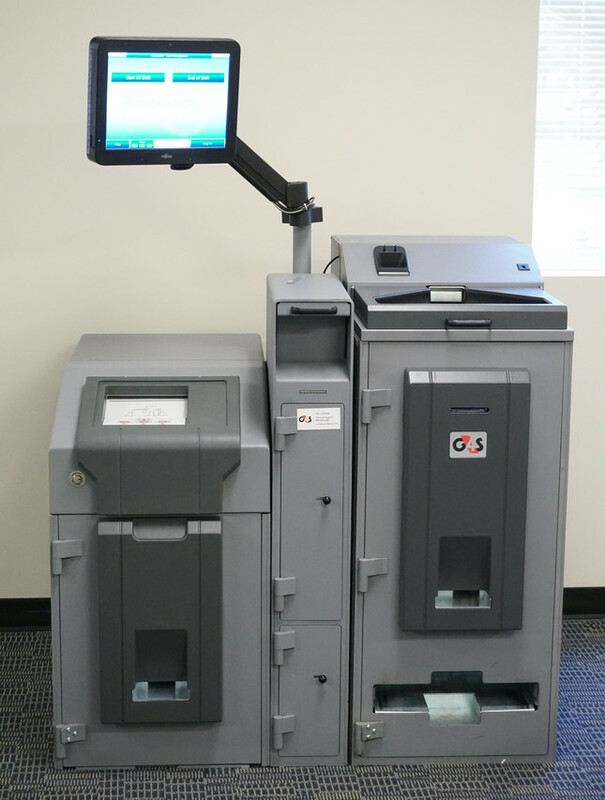 The Cash360 machine digitally deposits money at the bank, earning interest for Wal-Mart faster than sending an armored car. And it uses software to predict how much cash is needed on a given day to reduce excess. “They think it will be a more efficient way to process the money,” said the employee, who has worked with Wal-Mart for a decade. Now almost all of Wal-Mart’s 4,700 U.S. stores have a Cash360 machine, turning thousands of positions obsolete. Most of the employees in those positions moved into store jobs to improve service, said a Wal-Mart spokesman. More than 500 have left the company. The store accountant is now a greeter at the front door, where she still earns $13 an hour. Shopping is moving online, hourly wages are rising and retail profits are shrinking—a formula that pressures retailers from Wal-Mart to Tiffany & Co. to find technology that can do the rote labor of retail workers or replace them altogether. As Amazon.com Inc. makes direct inroads into traditional retail with its plans to buy grocer Whole Foods Market Inc., Wal-Mart and other large retailers are under renewed pressure to invest heavily to keep up. Economists say many retail jobs are ripe for automation. A 2015 report by Citi Research, co-authored with researchers from the Oxford Martin School, found that two-thirds of U.S. retail jobs are at “high risk” of disappearing by 2030. Self-checkout lanes can replace cashiers. Autonomous vehicles could handle package delivery or warehouse inventory. Even more complex tasks like suggesting what toy or shirt a shopper might want could be handled by a computer with access to a shopper’s buying history, similar to what already happens online today. Nearly 16 million people, or 11% of nonfarm U.S. jobs, are in the retail industry, mostly as cashiers or salespeople. The industry eclipsed the shrinking manufacturing sector as the biggest employer 15 years ago. Now, as stores close, retail jobs are disappearing. Since January, the U.S. economy has lost about 71,000 retail jobs, according to data from the Bureau of Labor Statistics. “The decline of retail jobs, should it occur on a large scale—as seems likely long-term—will make the labor market even less hospitable for a group of workers who already face limited opportunities for stable, well-paid employment,” said David Autor, an economist at the Massachusetts Institute of Technology. She is now an office manager at a local business she says can’t afford to give her the same perks or $16.75 an hour she made after 16 years with Wal-Mart. “I would have never left Wal-Mart. They were paying me decent,” said the Southport, N.C., resident. 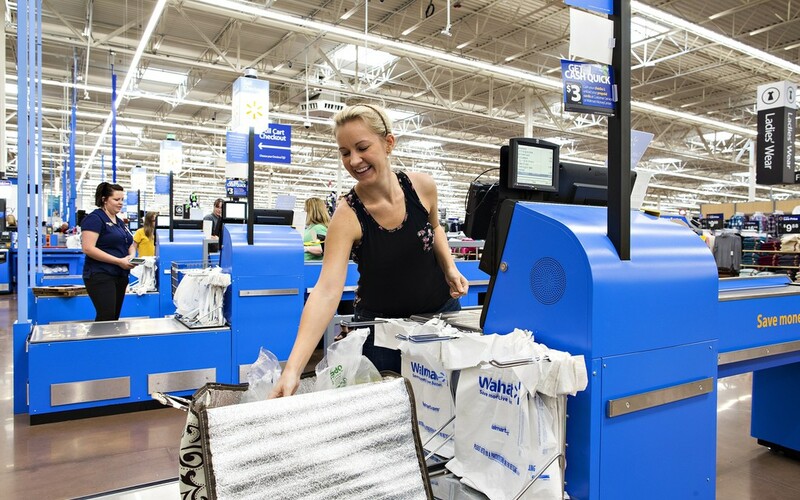 At Wal-Mart, Ms. Henderson managed store invoices, a job the company used technology to mostly centralize. Automation is filtering through many parts of retail. Tiffany is using machines to polish basic pieces, like silver jewelry, during the production process. Home Depot Inc.HD +0.96% now has self-checkouts in most stores and is testing adding scanner guns to make them useful for shoppers buying bulky products like lumber. “We want to simplify the stores so that we can free up our associates…so they can focus on selling,” Carol Tomé, Home Depot’s chief financial officer, said in an interview. Wal-Mart has long squeezed efficiency out of its business, both in stores and throughout its vast supply chain. Although it employs 1.5 million people in the U.S., it has around 15% fewer workers per square foot of store than a decade ago, according to an analysis by the Journal. Some Wal-Mart stores are experimenting with touch screens to let shoppers process returns. Self-checkouts are becoming a larger percentage of its total registers, according to a person familiar with company strategy. Several of Wal-Mart’s published patent applications propose technology to improve customer service. One describes a system that uses facial recognition to detect customer dissatisfaction and adjust staffing accordingly. In addition, jobs at hundreds of stores are shifting to support new services such as grocery pickup for digital orders. In two stores, Wal-Mart is testing touch-screen displays that show shoppers the differences between devices like internet-connected speakers and thermostats. “We don’t need an associate to understand how that works, but the associate is there to service customers and check them out,” said Ms. McKenna. The Cash360 machines in the back of stores let cashiers take out and deposit money from the device directly, granting them access by scanning their hands for unique vein patterns.